Review: Mickey accompanies her father, a veteran baseball scout with failing eyesight, on a scouting trip to North Carolina which could be his last. She is jeopardising her own career to save his. Always great to see Clint Eastwood in films but have seen him do the same roles before. 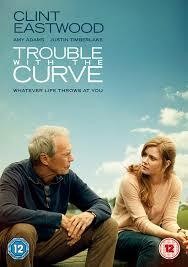 Amy Adams as always gives a fantastic performance. Sandra Bullock was first considered for Amy Adams’ role but declined due to scheduling conflicts. I also found the ending to be very predictable. You can guess what the outcome is going to be in even in the first few minutes of watching this film. This did have aspects in that reminded me a bit of Million Dollar Baby (2004) and Invictus (2009), especially with them both being about sport. This is a heart warming story dealing with the theme of the relationship between father and daughter.